“Why do you Americans always take pictures of your food?” was the question I was asked recently. My answer to that was, “The meal is so beautiful and so well presented, how could I not take a photo?” Yes, Europeans think we North Americans are a bit odd that way. We whip out our mobiles to take pictures of our food or drinks. It got me thinking a bit about my father. He told me that his grandmother always used to tell him, “Remember, the eye eats too.” He, in turn, has always told me the same. Presentation is important. When a dish looks beautiful, we can’t help but want to taste it or take a photo of it. 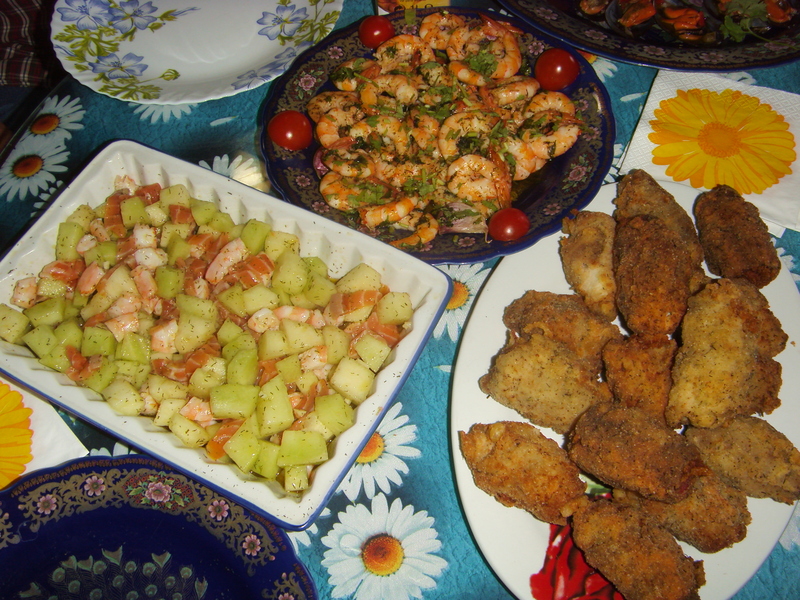 Another reason why we photograph food is to remember a special occasion or the effort somebody made for us. I have a photo from about 8 years ago on my wall that has no easily recognisable signifigance. Three people toasting Lambrusco. Nothing so exciting. 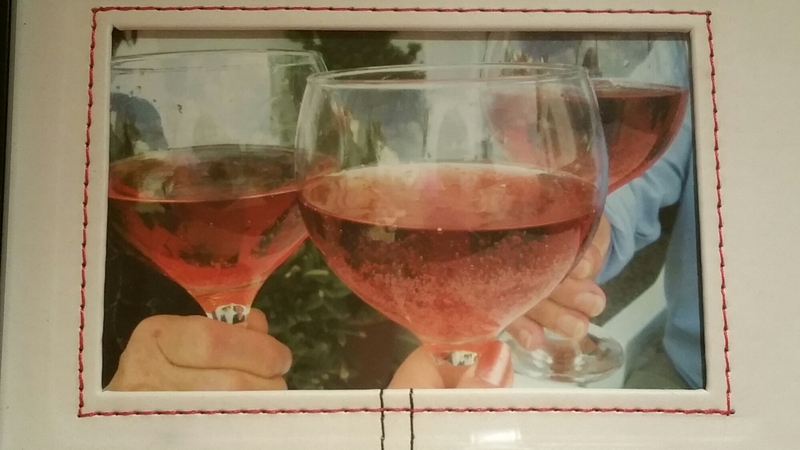 But for me it is a photo of my mom,dad and me toasting my finding a job in Spain and starting a new life. I had been living in Ireland and went to live with my parents in Spain after a painful breakup with my fiancee. I felt that I had lost so much but this photo brings back the feelings of hope and unconditional love of my parents that I especially felt that day. It is also a reminder that when God closes a door, He opens another. My mom made my husband and I a feast for our 2 year wedding anniversary. What a sight to behold after driving 5.5 hours to reach their home. We live in Madrid. My parents live in Ronda, which is in Andalucía. What an unexpected feast! 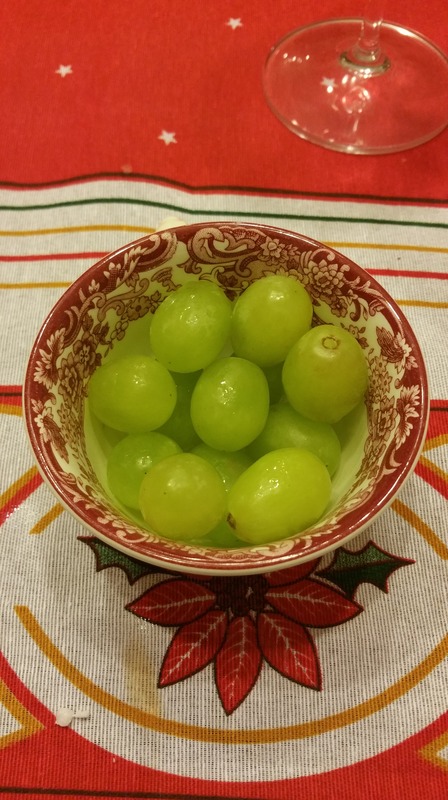 These grapes were from New Year’s Eve when, according to Spanish tradition, one has to quickly eat 12 grapes for each stroke of midnight in order to bring good luck. In the end, we laugh a lot but the tradition is taken very seriously here. They look so beautiful and yes..they are lovely with a glass of champagne! One more reason that should be considered for taking pictures of food is pride! When trying a recipe and it turns out well, we feel great! 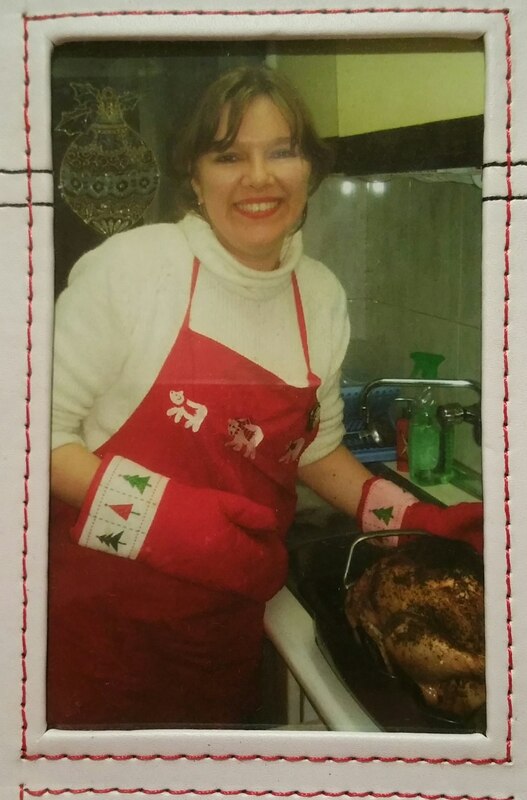 Let me tell you, I made my first Christmas turkey about 5 years ago. I was pretty proud of that moment. And I still take photos of my Christmas turkeys! I was told a while back, when hosting my first Christmas dinner as a newlywed for my Spanish family, “Turkey has gone out of style in Spain as a main course for Christmas dinner.” Right. 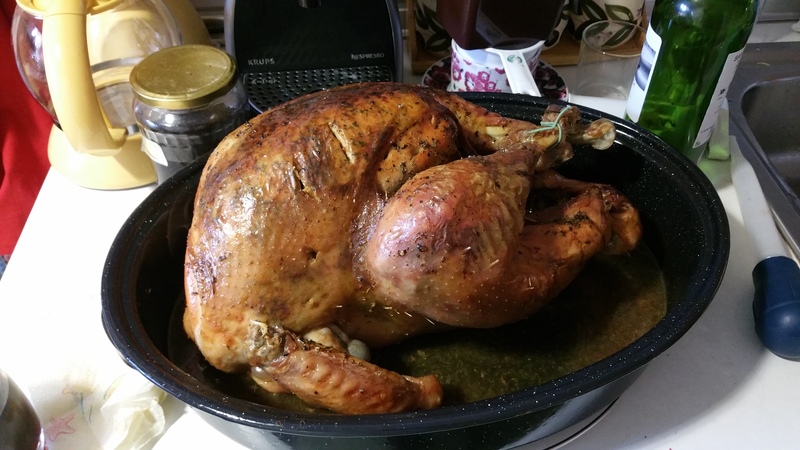 I went ahead with my turkey anyway knowing that good food never goes out of style. I am sorry I don’t offer any culinary discoveries today. More like culinary reminisces, I think! As for me, I will keep snapping away in spite of any random comment such as, “You Americans!” I, like many of you, know that food is not always just about ingredients or following a recipe. It is also about sharing it with people you love. Have a great day, everyone.